René Shadbolt led the only New Zealand contingent to the Spanish Civil War. She and fellow nurse Isobel Dodds cared for wounded soldiers, particularly those from the International Brigades, from July 1937 to November 1938. René Mary Shadbolt (known to her family as Sis) was born in Akaroa in April 1903. She began her nursing training at St Helens maternity hospital in Auckland in 1927 and graduated in 1932. By 1936 she was head sister of Auckland Hospital's casualty ward. Shadbolt had been ‘nudged leftward by the urban misery of the Depression years’, though she was not a member of any particular political party. She was horrified that some doctors and nurses were reluctant to treat patients wounded by police batons during street marches and riots. 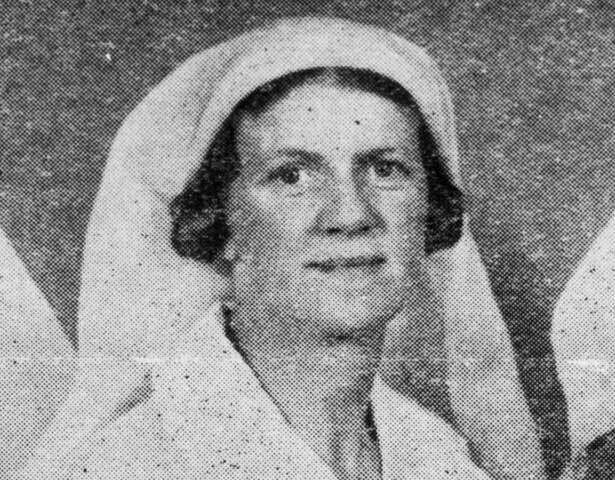 At the outbreak of the Spanish Civil War she was among the first to volunteer for a contingent of New Zealand nurses being put together by the Spanish Medical Aid Committee (SMAC). She was appointed to lead the group, which was made up of Isobel Dodds, a 22-year-old staff nurse from Wellington Hospital, and Millicent Sharples, aged 46, who worked at a private hospital in Levin. Shadbolt told an Auckland newspaper that she believed the group could 'be of some service to people in need'. Prior to their departure on 18 May 1937 the group was detained by police for a number of hours. Shadbolt was accused of being the secretary of a communist cell. She retorted that she'd 'never even been a secretary of a tennis club'. Eventually the group was released in time to meet their ship. They arrived in Spain on 15 July. Their first posting was to a large makeshift International Brigade hospital in Huete, central Spain. Shadbolt and Dodds stayed there until mid 1938 when the hospital was evacuated to Barcelona. They continued to care for wounded soldiers, particularly those from the International Brigades, until November 1938. On their return to New Zealand in January 1939 Shadbolt and Dodds worked for SMAC. In February they embarked upon a six week speaking tour to raise awareness of and money for the hundreds of thousands of Republican refugees in France. Shadbolt had more reason than others to continue this work. Unbeknownst to SMAC, she had married one of her patients, Willi Remmel, a German member of the International Brigade, during her time in Spain. Following the completion of the tour she made numerous appeals on his behalf to the New Zealand government and other agencies, never mentioning the fact that they had married. Remmel was denied entry into New Zealand and the two never met again. Like others who had served in the Spanish Civil War, Shadbolt was marked as 'dangerously political' and initially found it difficult to find work. Eventually she was employed at a private hospital in Martinborough. During the Second World War she worked at an Auckland convalescent home for returned soldiers and back at Auckland Hospital. She remarried in 1944 but was divorced 11 years later. In 1949 she became matron of Hokianga Hospital, where she remained until 1967. Following representations of the people of Hokianga she was made an MBE in 1969. She was widely mourned on her death in 1977. Shadbolt remains the only New Zealander who served in the Spanish Civil War to have a memorial. The New Lynn Borough Council renamed a local reserve in her honour on 23 February 1942. Maurice Shadbolt, One of Ben's, David Ling Publishing, Auckland: 1993. Renee Shadbolt 'Snow and springtime' in Jim Fyrth and Sally Alexander (eds. ), Women's voices from the Spanish Civil War, Lawrence and Wishart, London, 1991. We have 1 event in history, 4 biographies, 3 articles, related to Rene Shadbolt.